If you need to sparkle on stage the right way, a sequin blazer is just the way to do it. These sequin fabric blazers are perfect for entertainers on stage or even going to a night spot where getting noticed is key. 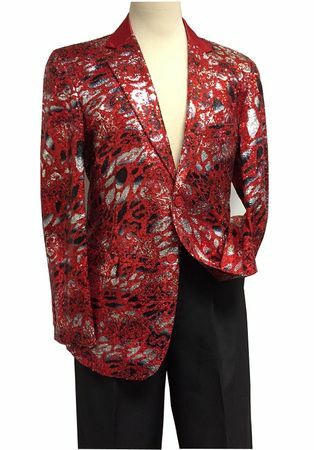 This red shiny sequin blazer has black and silver in the mix as well with a red satin collar and side vents in the back. Made by Blu Martini.